How much control of your company are you willing to give up in exchange for funds? is a question that all investment-seeking entrepreneurs need to answer. Social entrepreneurs are confronted with another key question that impacts how they want to set legally establish their organization: How important is profit versus mission? Brian provides “innovative legal counsel for social business,” focusing on social entrepreneurs, double/triple bottom line companies, and nonprofits with for-profit initiatives. Click the player to listen to our conversation. Prefer MP3? ProFounder is a new crowdfunding site co-founded by Jessica Jackley of Kiva. ProFounder helps entrepreneurs create terms based on their needs. On the site, input the amount you want to raise, how long you’ll need to repay it and what percentage of revenues you want to give to funders. ProFounder then combines this information (pitch and term sheet) and creates a password-protected fundraising website for your company. Criterion Ventures’ Structure Labs helps entrepreneurs understand how new legal forms are structured and how these forms can support the goals of your company. LawforChange.org is a legal forum for social entrepreneurs. It’s a broad menu of legal information prepared by law firms and attorneys tailored to social sector organizations that includes legal resources, discussions and blogs. 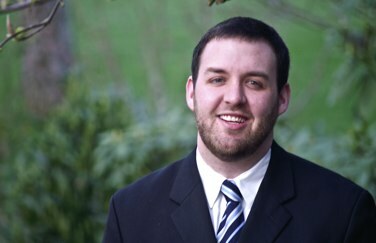 Brian is licensed to practice in the state of Washington but works with a contract team of lawyers around the country. He’s applied sustainability principles to his own practice, donating an hour of legal work for every 10 hours billed to the client’s choice of cause, giving clients real-time access to the time clock and billing and providing discounts to B Corporations and other impact companies. Vox Legal is in the process of seeking B Corporation certification. Like this interview? You can thank Brian on Twitter like this and follow him at @socialbizlawyer. Interview note: In our conversation, Brian referred to Benefit Corporations as B Corporations. B Corp is the brand or seal and benefit corporation is the new legal structure. *Neither our conversation nor this post constitutes legal advice. Hey, had to say it.